If you have been visiting this blog for a while, you know I'm infatuated by theBalm's eyeshadow palettes. I have pretty much every palette they've released, from theBalm and the Beautiful onwards. 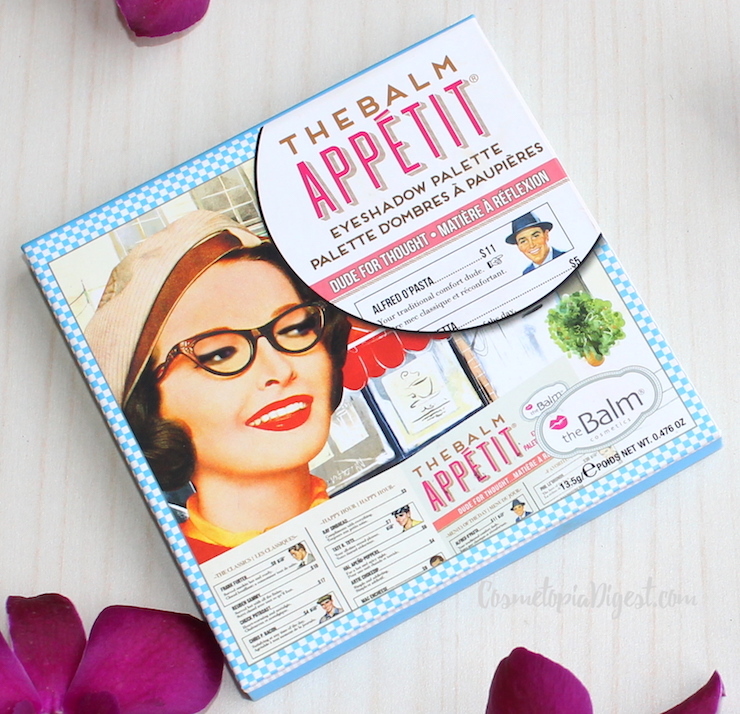 TheBalm Appetit is the latest offering from theBalm. It is as cute as previous palettes. Thankfully, they have moved on from travel and hunky-dude themes; this one is about food. TheBalm's early themes included television, the Muppets, and rock music, so I was disappointed when a few consecutive palettes were themed on either travel or blokes. 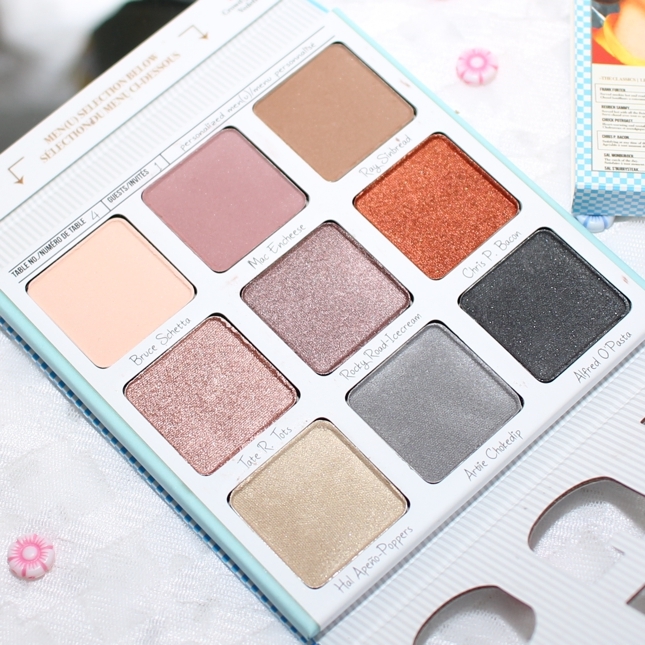 Scroll down for the review and swatches of TheBalm Appetit Eyeshadow Palette, and for EOTDs. You've got to love the restaurant-themed packaging. I like that the cutesy isn't over the top, as we have seen with the innumerable Balm Voyage and Meet Matt(e) variants. Inside, there's a square mirror, and a cut flap which reads, "EAT UR <3 OUT". The flap lifts to reveal square pans - no difficulty getting your brushes in. There are nine shades; mostly neutral with the exception of a bright orange-copper. I'm not going to harp on about the usual epithets - buttery, smooth, and silky - suffice it to say that these are good quality powder eyeshadows; I have no complaints. Yes, there is some fallout, particularly if you are heavy-handed like me. No problems noted with creasing or staying power - I admit I always use primer - and the colour wears true through the day. 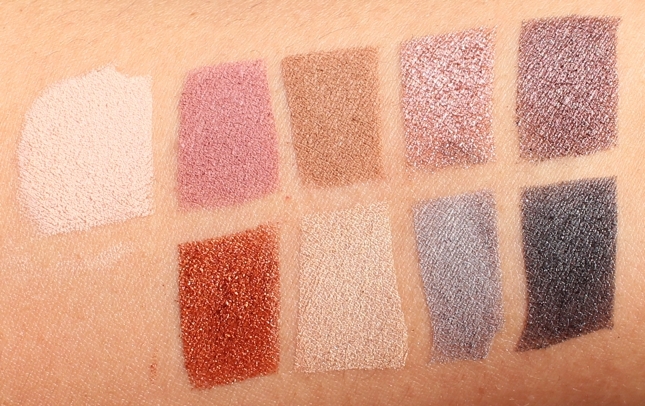 There's a nice mix of mattes and shimmers, and I've always loved theBalm's matte formulations. The black isn't a jet black, but a satiny silver-black. The shade names are food-related, of course. Bruce Schetta, Mac Encheese, Ray Sinbread, Chris P. Bacon, Rocky Road-Icecream, Tate R. Tots, Alfred O'Pasta, Artie Chokedip, and Hal Apeno-Poppers. I bet they have a lot of fun at theBalm headquarters, trying to come up with these names. I would love to go work there, despite being creatively challenged. 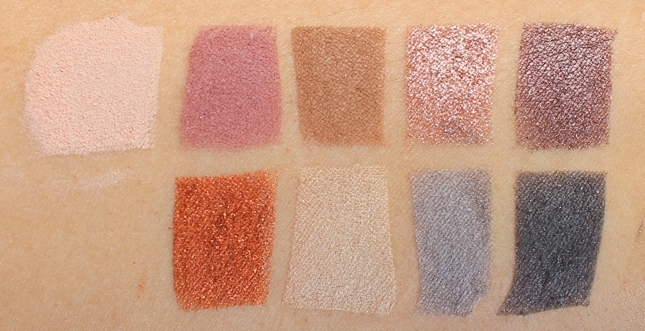 Before you think the whimsical packaging contains "play makeup", take a look at these swatches. No primer; bare skin. In natural light and in direct sunlight, respectively. My favourite is Mac Encheese (second from left, top row), followed by Chris P. Bacon (bottom left). Here's a makeup look I did with this palette. This one stars Chris P. Bacon, Bruce Schetta, and Tate R. Tots. Here's another; this one is with Tate R. Tots, Rocky Road-Icrecream, and Hal Apeno-Poppers. I found this palette a nice change both in terms of packaging, as well as the mauvey-neutral shades chosen. The quality is as good as any we've seen from the brand, and I've been reaching for this palette several times each week. 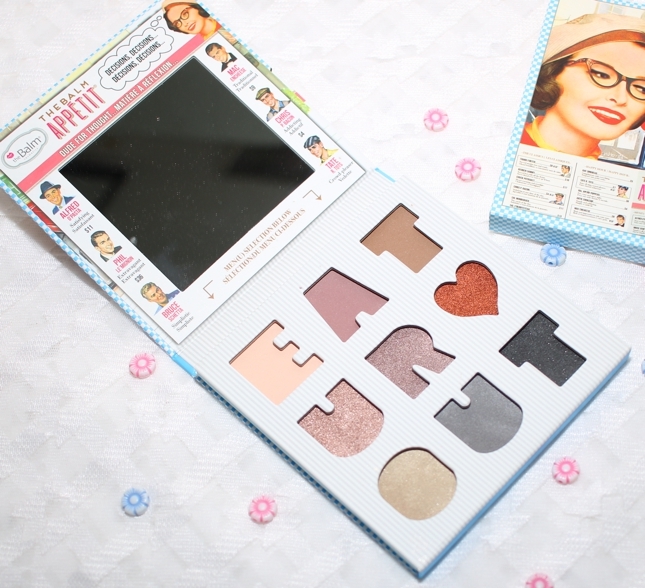 TheBalm Appetit palette costs $39.50 or £34, but is currently available at the discounted price of £28.90 here; they ship worldwide. Hurry to get yours!